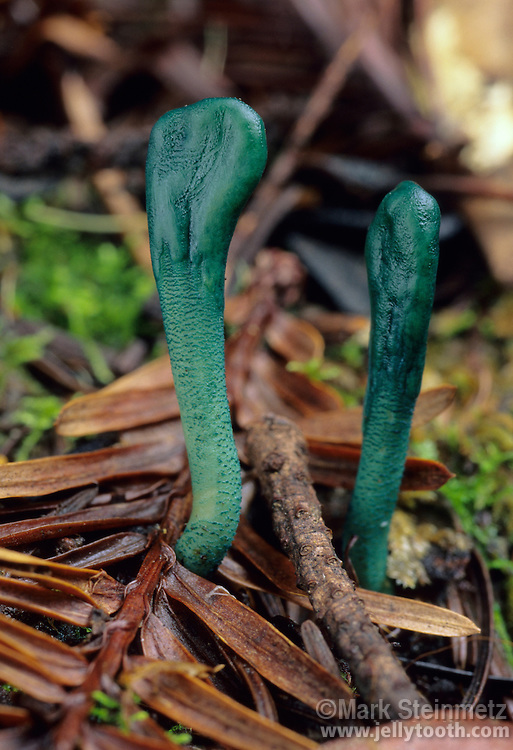 Green Earth Tongue (Microglossom viride). This mushroom is one of the more colorful of the "earth tongues", an order (Helotiales) of club-like to tongue-like shaped fungi. Central California, USA.